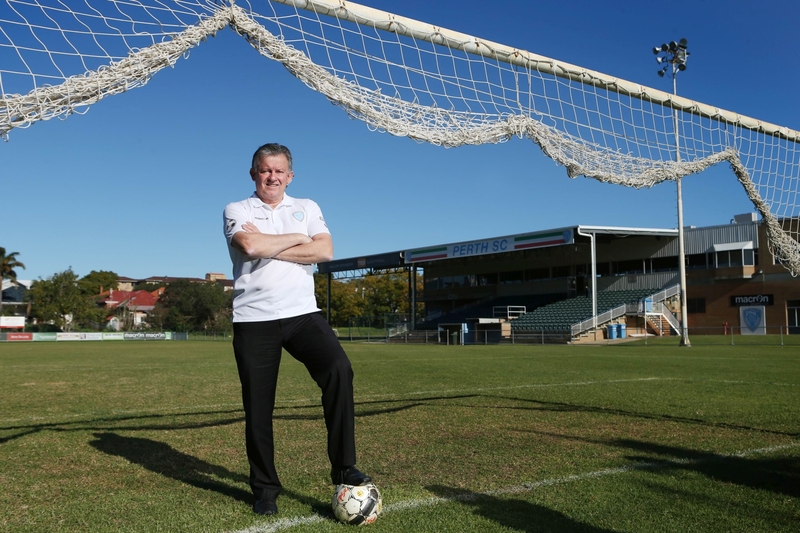 Perth Soccer Club president Gary Marocchi. The City of Vincent voted to support the club’s application for funding under the Department of Sport and Recreation’s Community Sport and Recreation Facility Fund at its meeting last Tuesday. It will also consider contributing $250,000 to the $3 million project in its draft 2015-16 budget. Club president Gary Marocchi said the City’s support was a crucial first step. ‘On behalf of Perth SC, I thank the City of Vincent for their support of this key project, which will not only deliver significant benefits to our members, but the local community,’ Mr Marocchi said. ‘We would not have been able to access any of the funds available under the CSRFF program without the City of Vincent’s support. The three Dorrien Gardens fields will cater for soccer, touch football, gridiron and create a new facility for community groups and local schools to use. The project will include upgrades to parking, lighting and change rooms at Dorrien Gardens. Vincent councillor Joshua Topelberg said it was disappointing the council could not meet the requested contribution of $500,000. ‘It’s disappointing that it has come to us at a time our finances are under the pump,’ Cr Topelberg said.